Our goal is to provide the best in service and technical support. In fact, we offer FREE phone support, just call us at 800-260-0939. 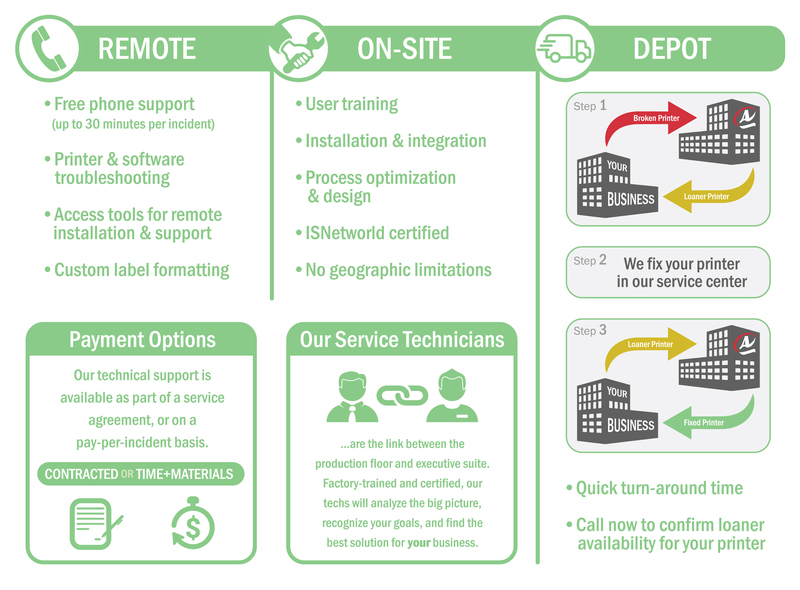 During the call we have the ability to utilize Remote Desktop Support which in many cases can save you time and cost. From training and installation to troubleshooting and repair of label printers, applicators, small character CIJ (continuous ink jet) and large character high resolution ink jet, our team is here to serve. 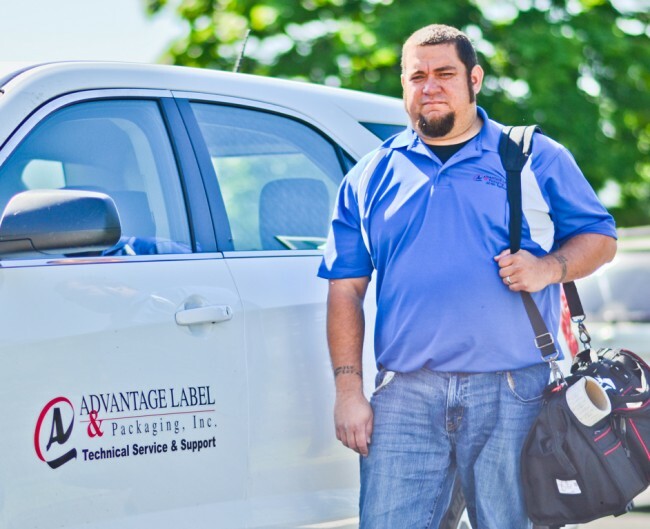 You can rely on a technical support staff that includes four full-time factory-trained and certified individuals focused on finding the most effective solution for you. We are a Zebra Premier Service Provider. This is the highest level of service capability and excellence available. We service Zebra Thermal Printers as well as Zebra Print Engines used in Print & Apply Label Applicator systems. We Sell & Support Leibinger small character inkjet exclusively. Please contact us for Authorized Leibinger service in Ohio, Indiana & Michigan. Existing customers, you can create a service ticket by clicking the button below. Technical Support Question or Issue (how can we help)? Would you like to receive email updates about products, services and specials? Or existing customers, create a service ticket now. Advantage Label & Packaging is an ISN Registered Contractor (ISNetworld). We provide on-site service that is certified to comply with ISN standards and requirements.